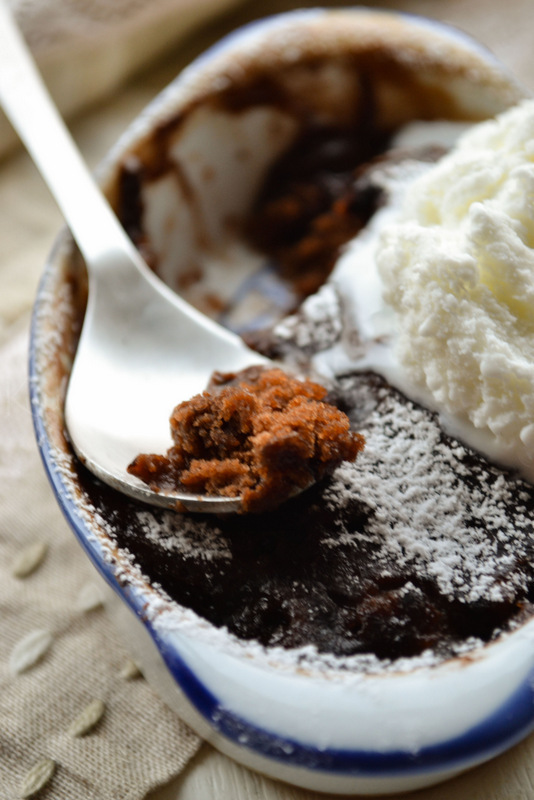 Chocolate self saucing pudding - a light chocolate sponge with rich fudge like sauce,served with ice cream /cream. Recipe source-Taste.com, you can find the original recipe here. Preheat oven to 180 deg C.Brush the ramekins/ovenproof dish with butter. 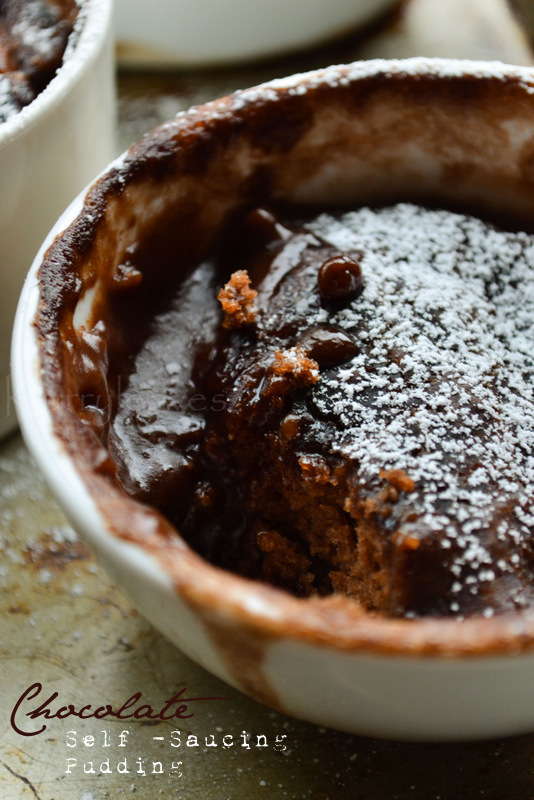 In a mixing bowl,combine together caster sugar,self raising flour and 2 tbsp cocoa powder. Add melted butter, milk and vanilla extract.Mix well,just until combined. In another bowl combine together brown sugar and 2 tsp cocoa powder.Keep aside. Transfer the batter to 4 or 6 greased ramekins ( or a large ovenproof dish).Sprinkle the brown sugar-cocoa mixture evenly over the batter. Gently pour boiling water over this .Do not stir.Bake for about 25 minutes.Serve warm with vanilla ice cream. To prepare 1 cup self raising flour mix together 1 cup all purpose flour with 1.5 tsp baking powder and 1/ 4 tsp salt until combined. 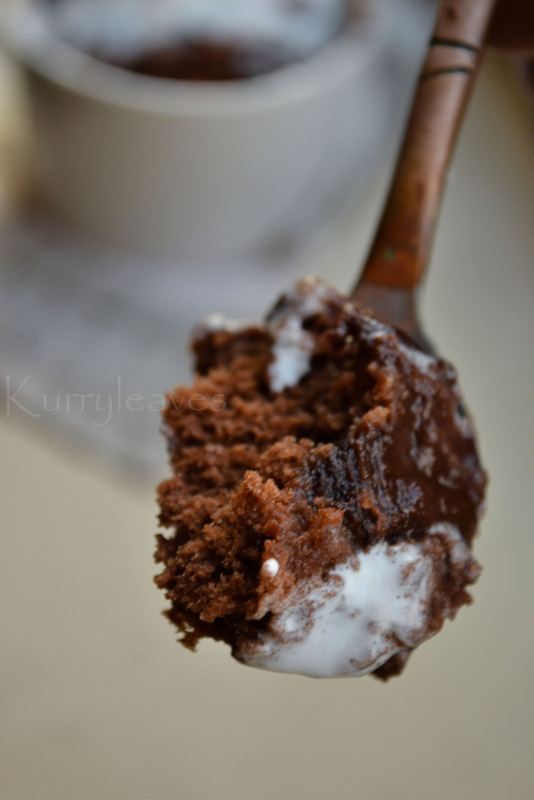 This looks so chocolatey and gooey - I'm dying to stick a spoon in there! Lovely pics. 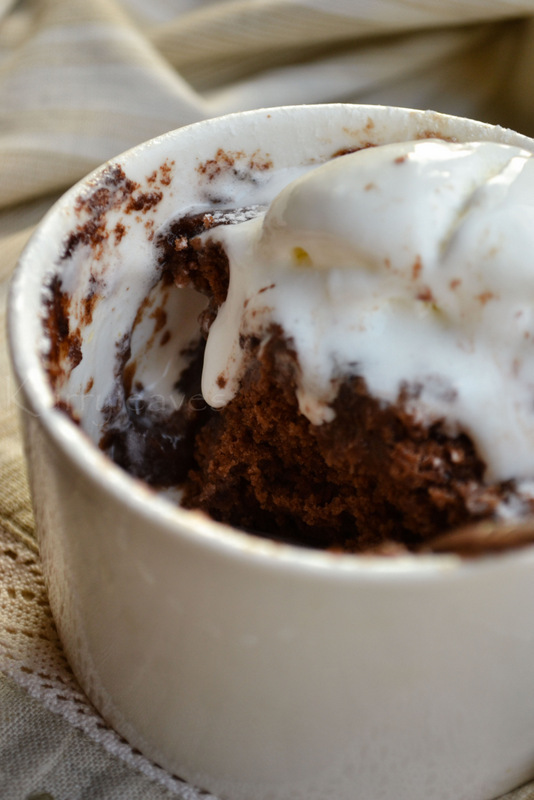 This is definitely a droolworthy treat for chocolate lovers.